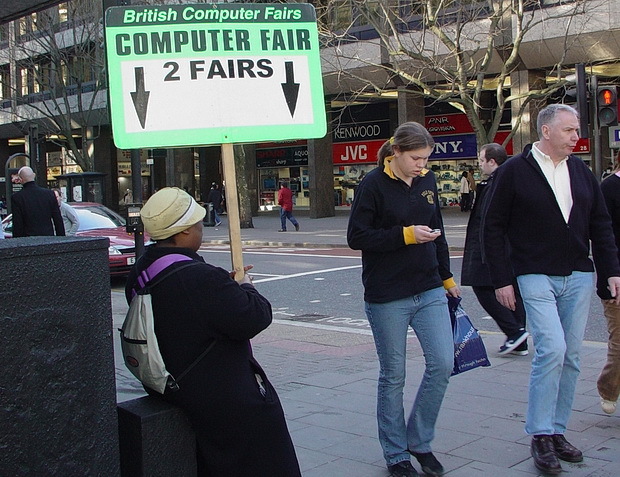 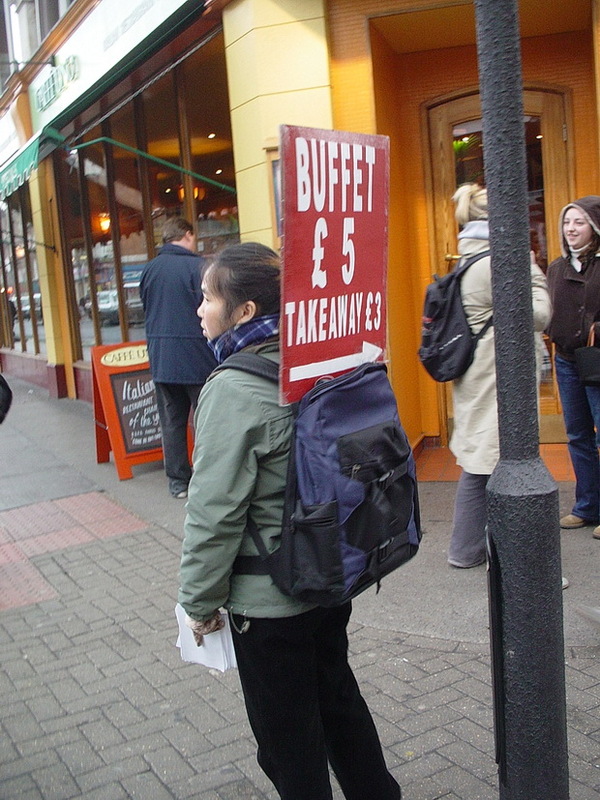 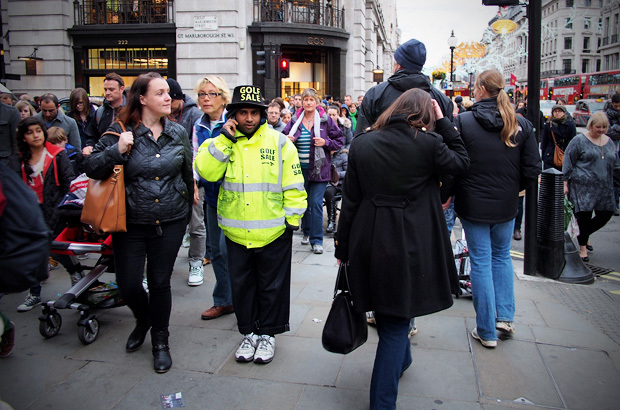 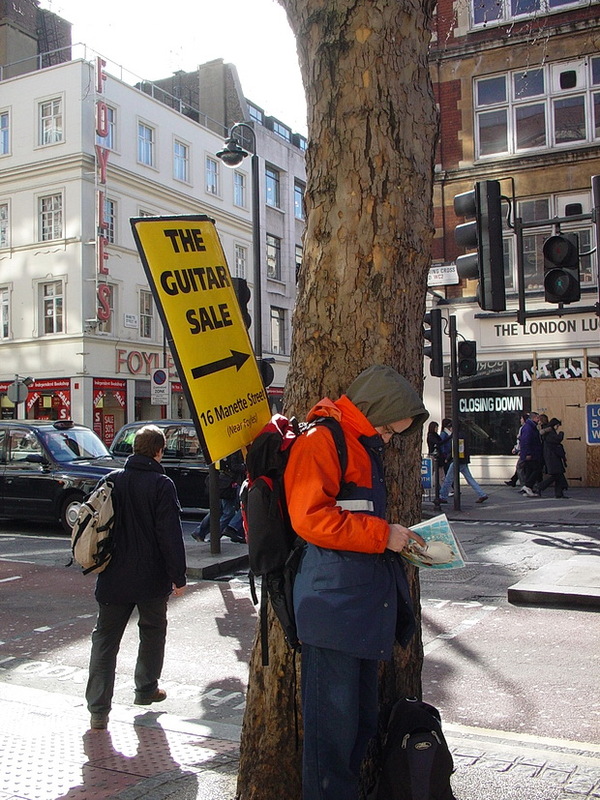 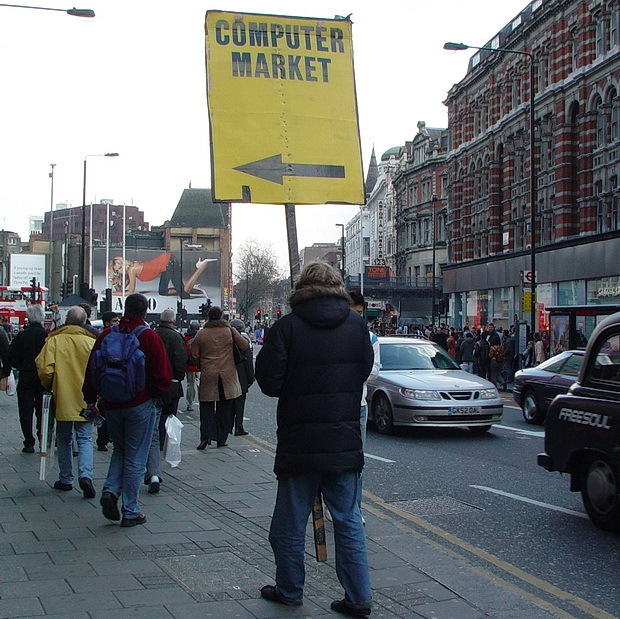 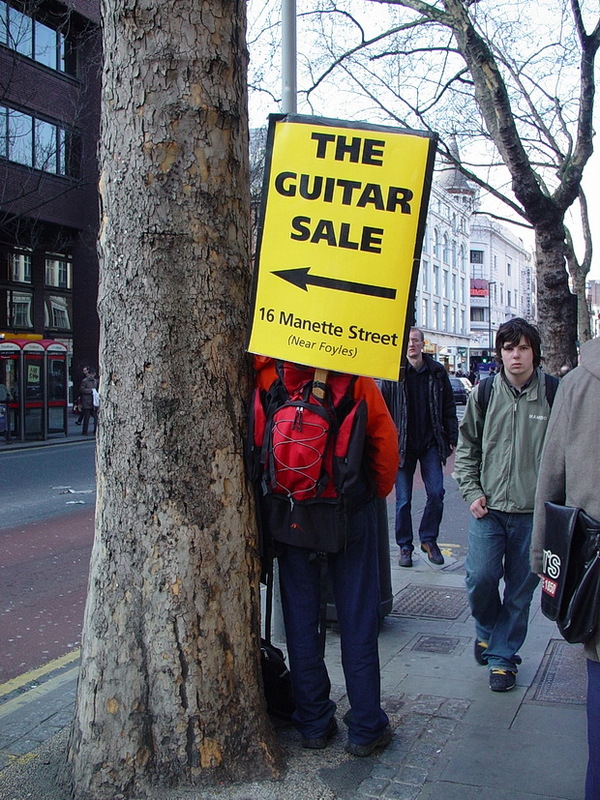 As time went by, the human billboards multiplied in number with some placards taking on immense, pavement blocking proportions. 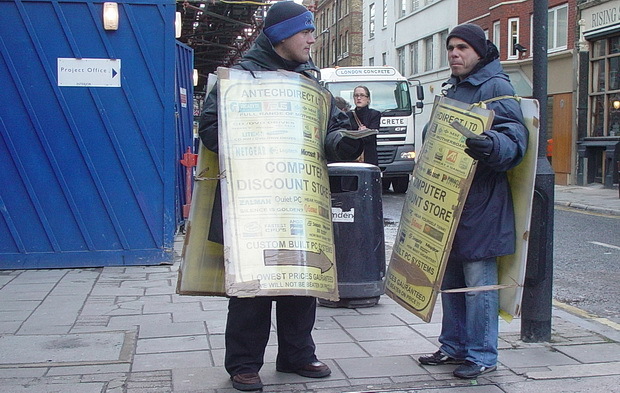 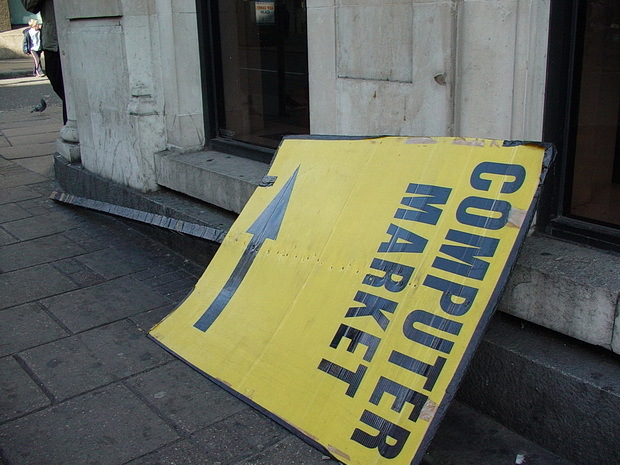 From next month anyone found using a board to advertise their wares or religious message will face fines of up to £2,500. 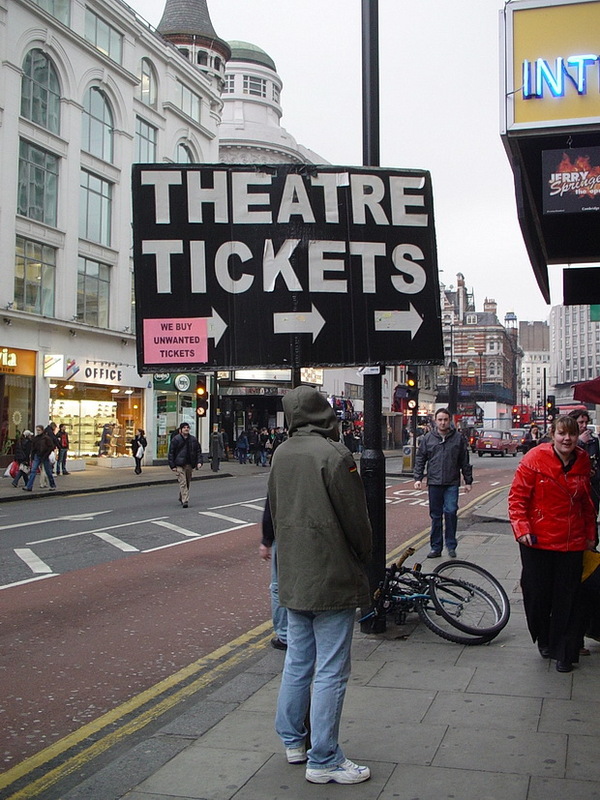 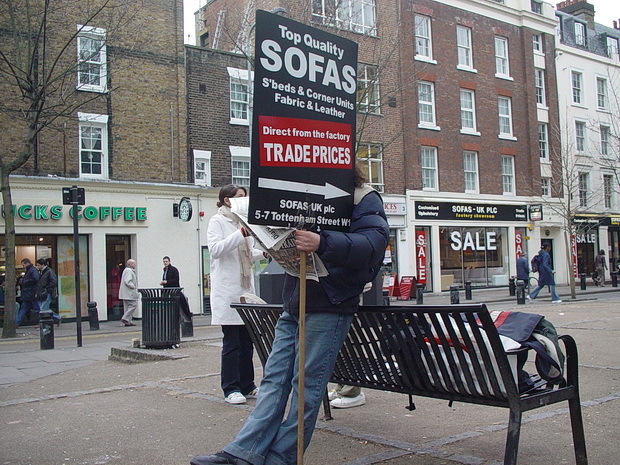 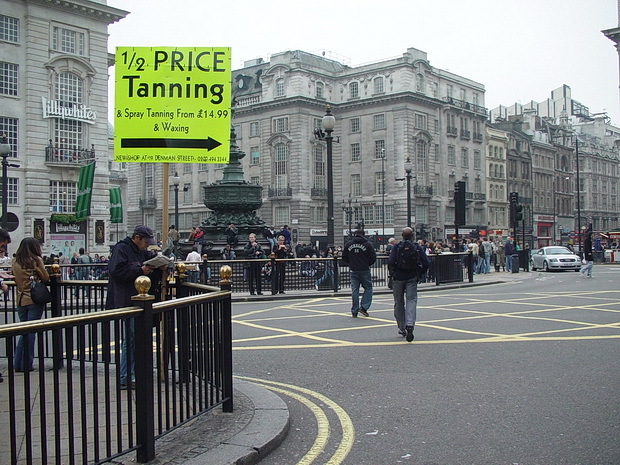 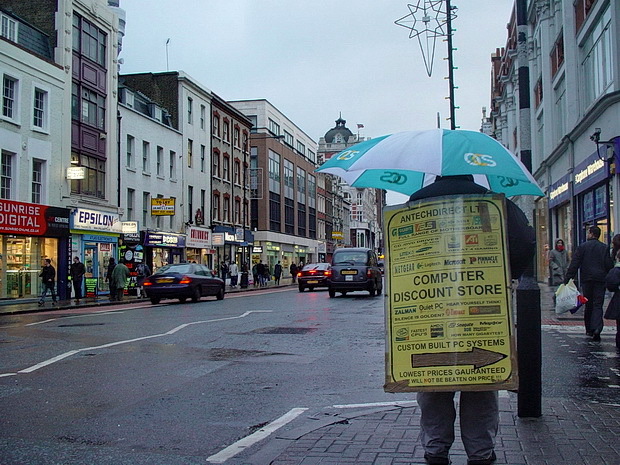 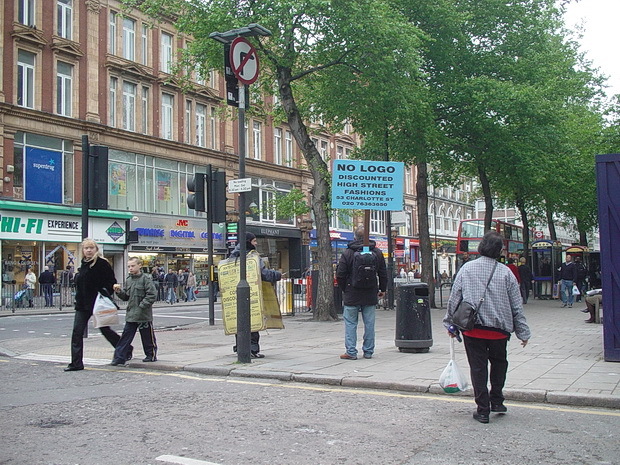 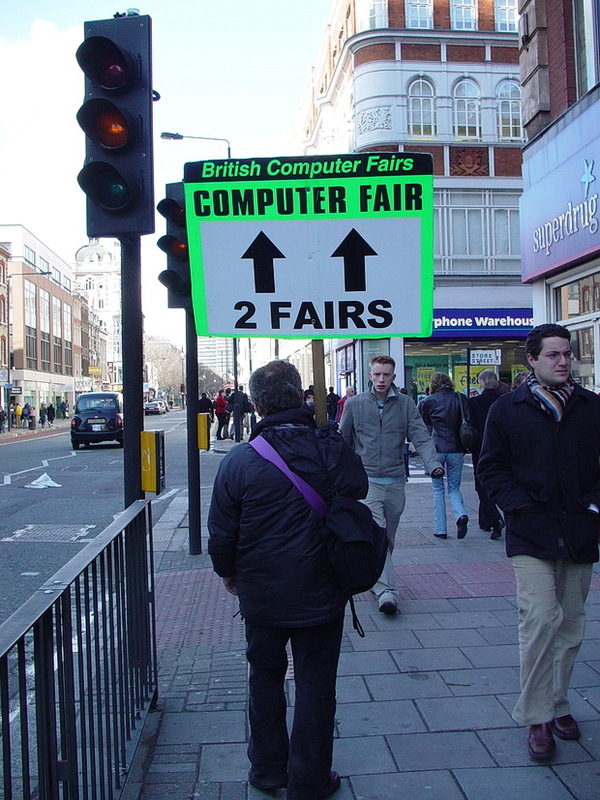 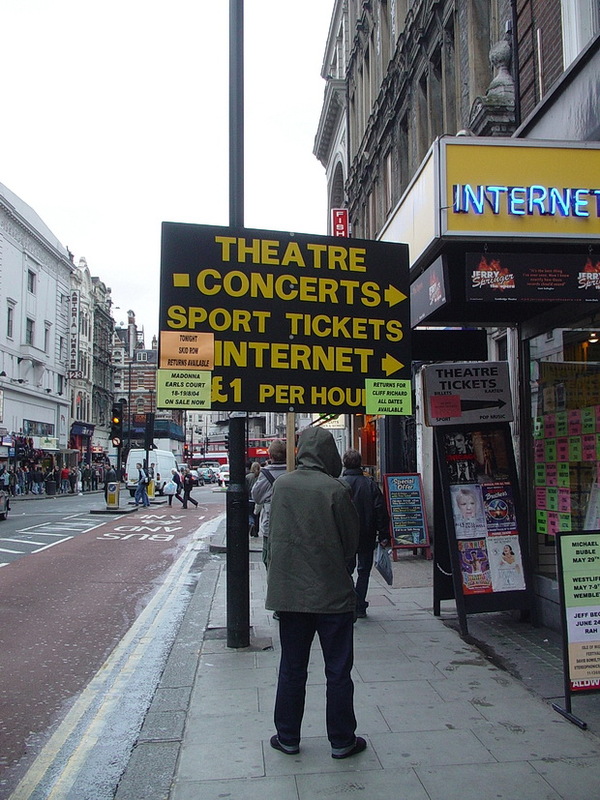 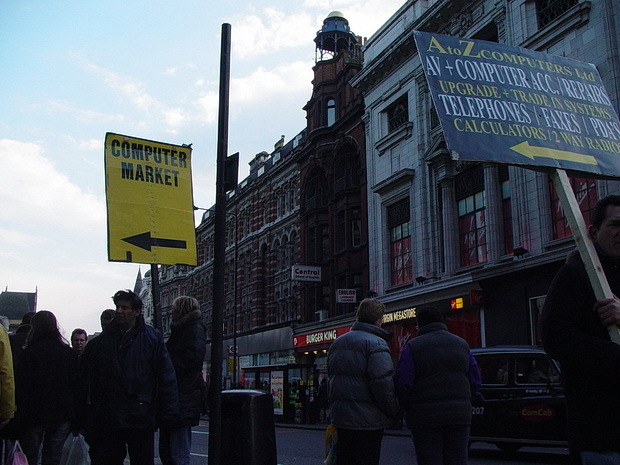 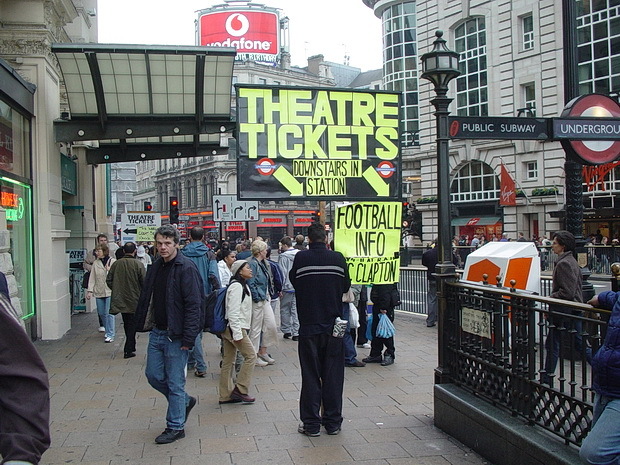 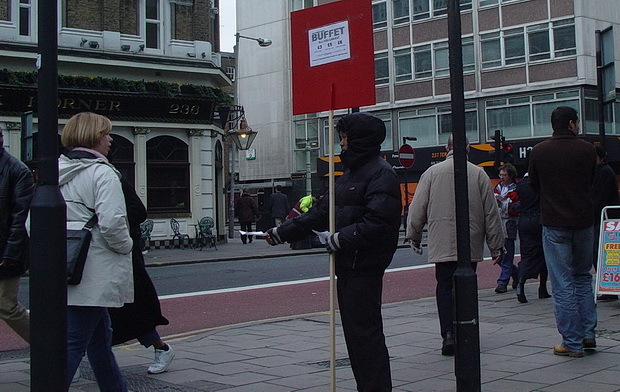 Daniel Astaire, a Westminster councillor, said that “cheap and ugly” signs were blighting areas such as Oxford Street and Covent Garden. 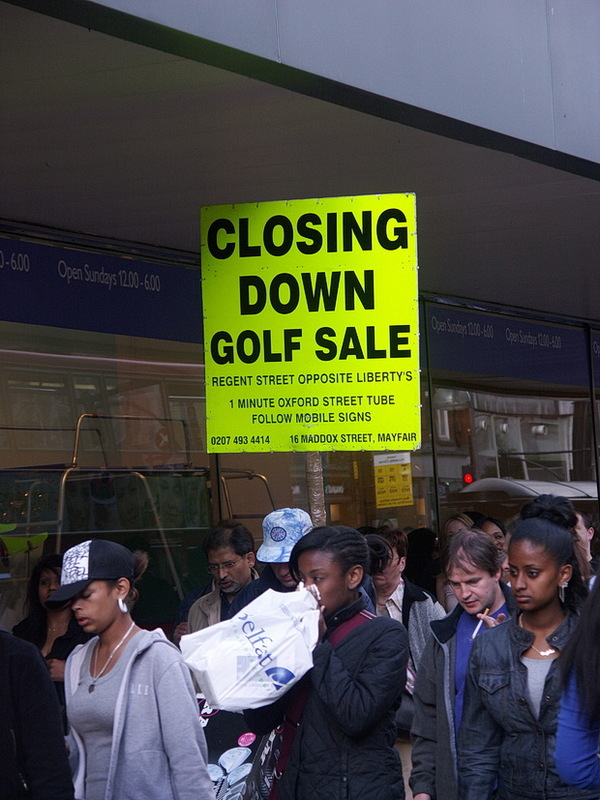 “This is a world-class city, not a junk yard,” he said. 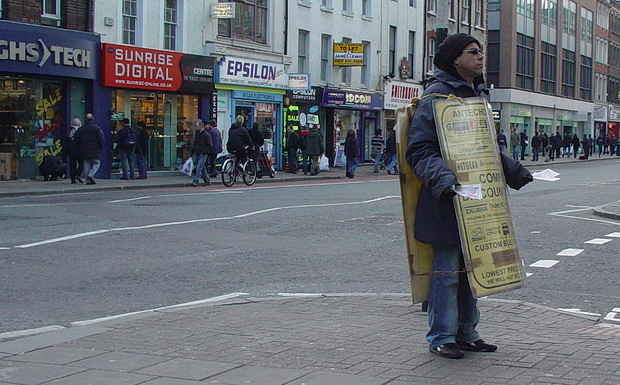 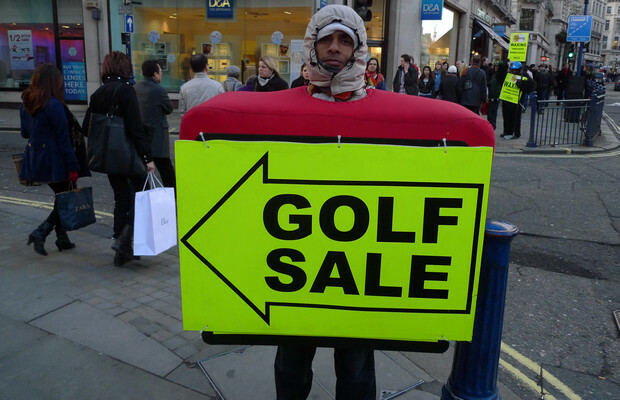 Advertisers were, however, quick to adapt and curious and innovative outfits like this were seen around the West End two years later. 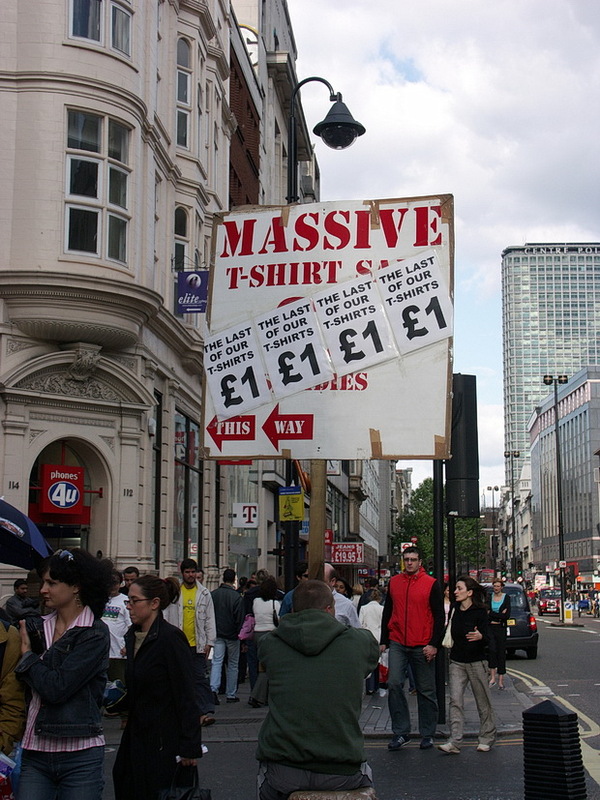 Much like today, London was plastered with advertising, with armies of chalkers and ‘external paper hangers’ decorating blank walls, empty shops and wooden hoardings with advertisements. 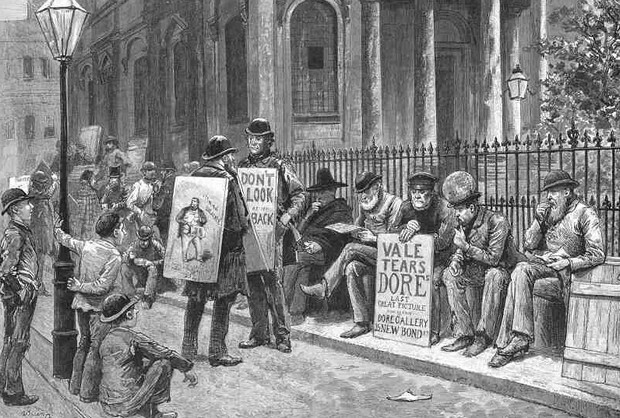 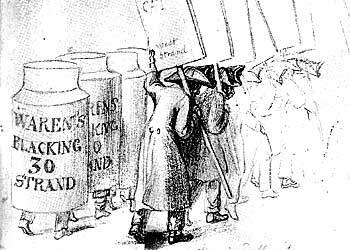 The combined inconveniences of an advertising tax and increased competition for poster space led advertisers to a simple conclusion – make the messages become mobile! 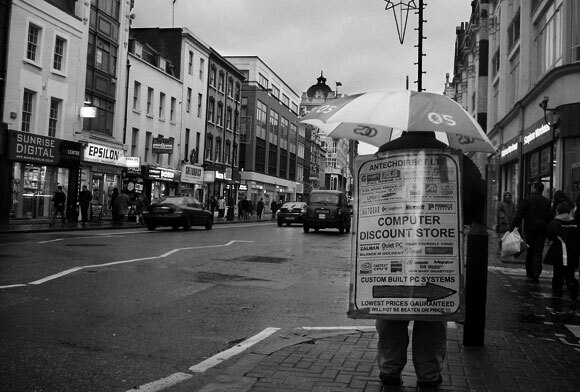 “Formerly people were content to paste them up; now they are ambulant. 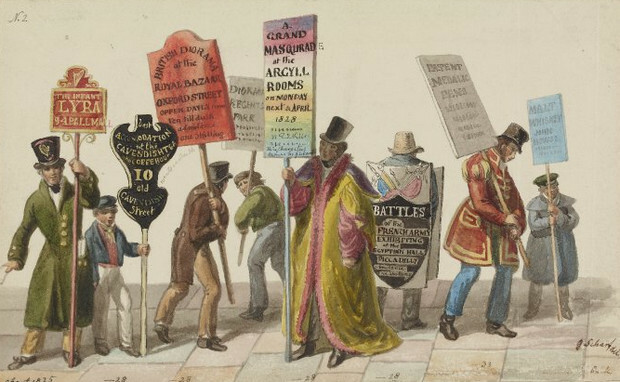 One man had a pasteboard hat, three times as high as other hats, on which is written in great letters, ‘Boots at twelve shillings a pair – warranted’. 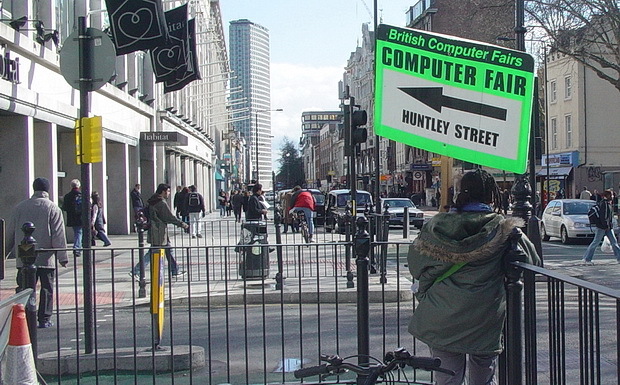 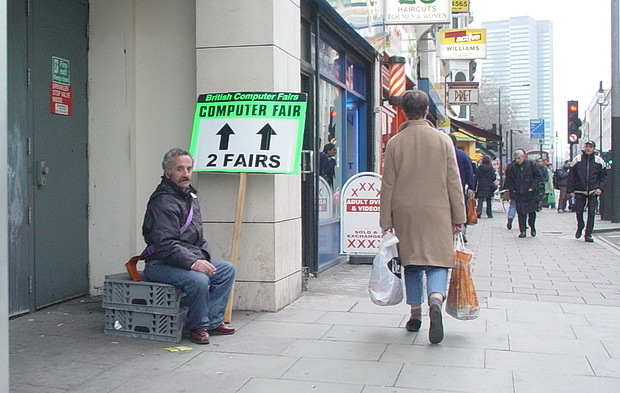 See: The decline of Tottenham Court Road, former electronics capital of London. 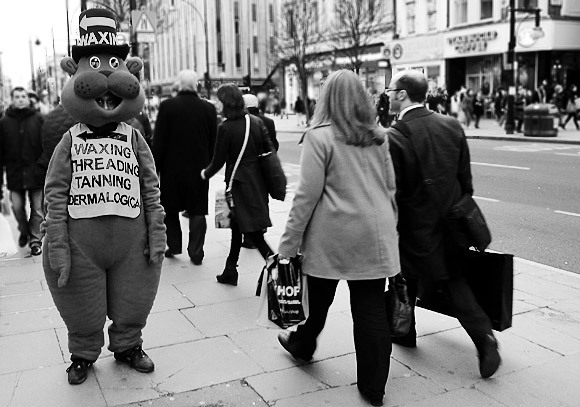 Perhaps the most famous human billboard of all was Stanley Owen Green (1915-1993), known as the Protein Man, who patrolled Oxford Street with a placard recommending “protein wisdom” for 25 years, from 1968 until 1993. 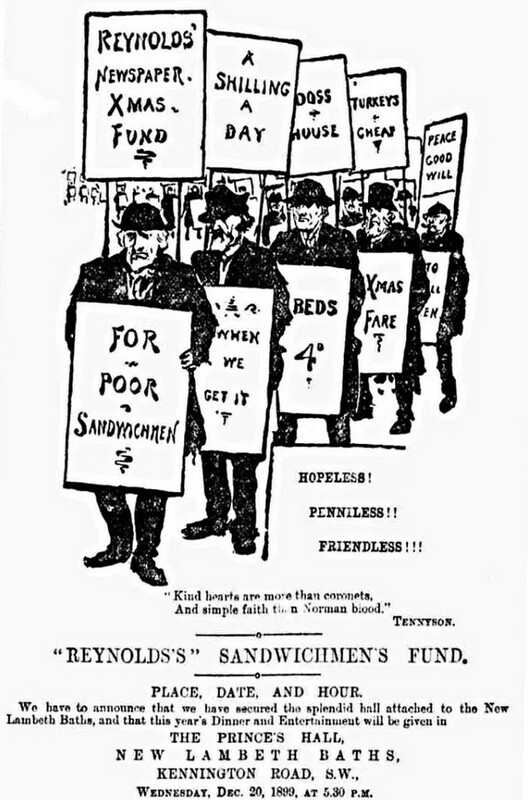 This late Victorian pamphlet advertises a ‘Sandwichmen’s Fund’ with a Christmas dinner for the ‘hopeless, penniless and friendless’ workers.